Even though I'm in love with the platform, as it turns out, I tend to blog about Magento bugs quite often. 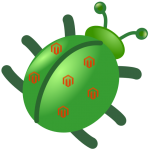 I like to believe this is a good thing, because besides helping other Magento developers, finding and fixing bugs makes our favorite ecommerce platform better. It has nothing to do with frustration couple of days debugging session can cause, I ensure you. In this article I'm about to explain and provide workaround for bug affecting all Magento versions (including latest Magento CE 1.9.0.1 at the time of writing), one that's causing catalog price rules not being applied to final price and totals not getting calculated correctly when creating orders from Magento admin, all this under specific and hard to reproduce circumstances. Honestly, this is probably the ugliest bug I've ever seen in my coding career, largely due to fact that client's bug report is usually that catalog price rules prices revert when creating orders from Magento admin, but only sometimes and without any pattern. It's visible from following code listing that Mage_Adminhtml_Sales_Order_CreateController controller is aware of the fact that data required for applying catalog price rules must be placed in registry, before attempting to save quote (action that includes collecting totals). For the sake of completeness, here's an excerpt of relevant code from Mage_Adminhtml_Model_Sales_Order_Create model used by Mage_Adminhtml_Sales_Order_CreateController. Put into words, Magento includes functionality for recollecting quote totals on specific price calculation changing events like new catalog rules getting applied or catalog product being updated. This is to prevent situations where customer bought something at full price just because he added product to cart before new catalog price rules have been applied, where natural behaviour is to use final prices at the time when checkout is completed. Using this mechanism, when it is required to recollect totals for all quotes containing product that had it's price calculation factors changed, Magento marks these quotes with trigger_recollect (DB field in sales_flat_quote table). So the next call to Mage_Sales_Model_Quote::load() on these quotes will trigger Mage_Sales_Model_Quote::collectTotals() on affected quotes. But guess what, initialized rule_data is required to collect quote totals in the first place, leaving us with the chicken or the egg dilemma causing incorrect final price being used for calculating quote totals (one without catalog price rules applied). With this code even when trigger_recollect is set, collect totals will not be started automatically when loading quote in admin, at least not without required data being set in registry. Basically that's it. If it happens that store you're in charge for is affected with this issue, I hope this article will cut a few hours from your search. Also, I hope this issue will get fixed in Magento core soon so we could remove this ugly rewrite from Mage_Sales_Model_Quote model. This entry was posted in Magento, Web Development and tagged bug, e-commerce, Magento, PHP, Web on August 12, 2014 by Marko. I have encountered this annoying catalogrule problem and tried to implement your fix but without success. The Mage_Sales_Model_Quote overwrite works but the _afterLoad is never called. I’m using http://inchoo.net/magento/programmatically-create-order-in-magento/ as a reference to create the order programmatically. Are there any critical steps missing from the inchoo method ?